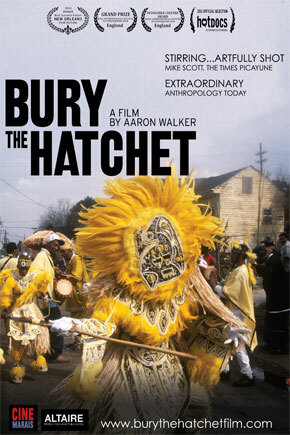 *The Times-Picayune's "Top 10 documentaries of 2011"
BURY THE HATCHET is a portrait of three Mardi Gras Indian "Big Chiefs." These New Orleans men are the descendants of runaway slaves who were taken in by the Native Americans of the Louisiana bayous. These African-American tribes were once plagued by violent gang-style clashes. Now, every year during Mardi Gras, they take to the backstreets of New Orleans, dressed in elaborate Native American -influenced costumes that they sew over the course of the year. Where they once fought with hatchets, they now battle over which Chief has the best suit. Following the Mardi Gras Indians over the course of five years - before, during and after Hurricane Katrina - filmmaker Aaron C. Walker explores their art and philosophies, as well as their struggles within their communities: harassment by the police, violence amongst themselves, gentrification of their neighborhoods, disinterested youth, old age and natural disaster. 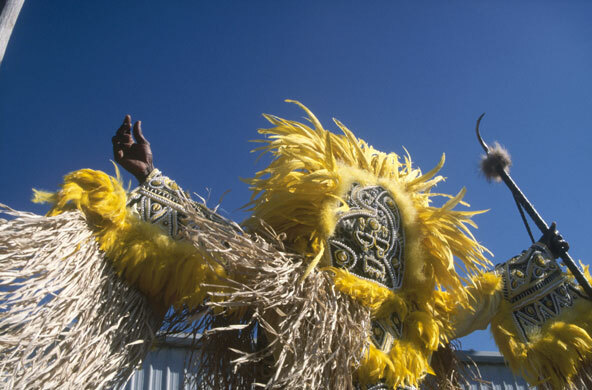 BURY THE HATCHET brings to light the real people, culture, and incredible music of the Mardi Gras chiefs that inspired the Emmy-nominated HBO show, Treme, and its character, Big Chief Albert Lambreaux. Aaron C. Walker has worked extensively in the New Orleans documentary and music community, having worked as cinematographer, and director and editor on projects with The Preservation Hall Jazz Band, Marianne Faithfull, Buckwheat Zydeco, Allen Toussaint, John Scofield, and others. 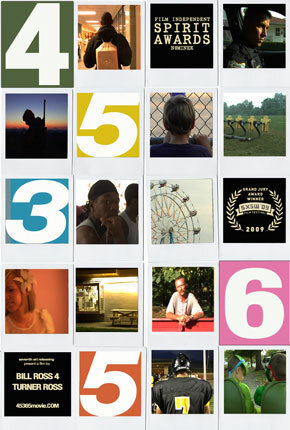 He has directed music videos for The Blind Boys of Alabama, Pearl Jam, Timothea, Ozlem Tekin and others. He has filmed and edited behind-the-scenes featurettes for films such as The Dukes of Hazzard and the Burt Reynolds feature Deal. 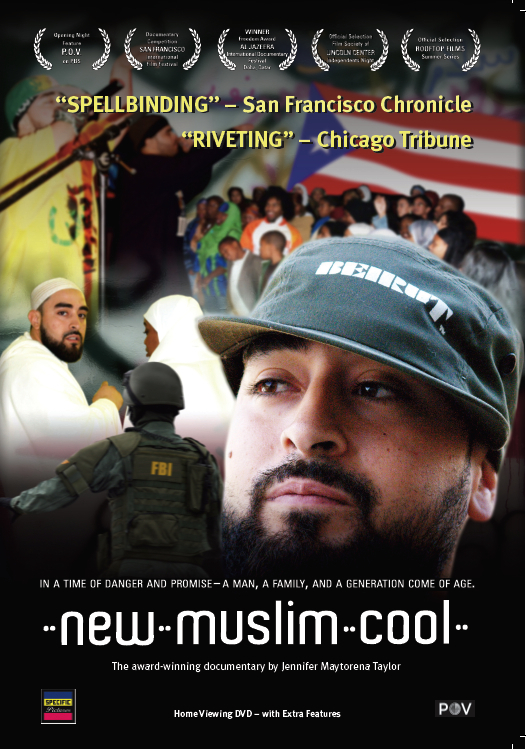 A graduate of The American University of Paris with a BA in European History, he also has an MFA in Film from The University of New Orleans.